Home › Blog › News › Fifteen Design welcome a new arrival! Fifteen Design welcome a new arrival! It’s been an exciting morning in the graphic design camp at Fifteen Design! Our CD, Ollie, and his partner Anna have blessed us with a new member! 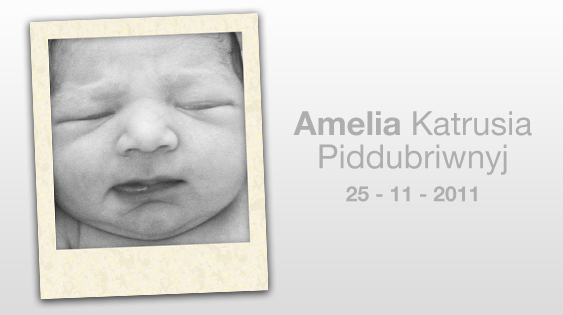 Little Amelia Katrusia Piddubriwnyj was welcomed into the world in the early hours of this morning, weighing in at 8lb 4oz. She’s absolutely gorgeous and the rest of the Fifteen team are wishing the whole family lots of love! Signed, sealed, delivered… Fifteen Design believe in a thing called love!